In previous blog posts, we explained how JEB’s custom Intermediate Representation can serve to analyze an executable and perform advanced deobfuscation. 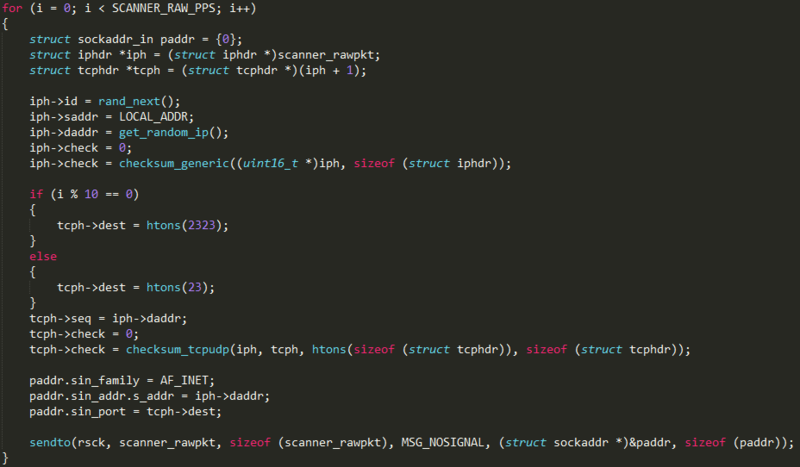 Now it’s time to turn to the final output produced by JEB native decompilers: C code1! In this series of blog posts, we will describe our journey toward analyzing a heavily obfuscated crackme dubbed “MarsAnalytica”, by working with JEB’s decompiled C code. To reproduce the analysis presented in this post, make sure to update JEB to version 3.1.3+. My reverse engineering challenge ‘MarsAnalytica’ went unsolved at #nsec18 #CTF. Think you can be the first to solve it? It features heavy #obfuscation and a unique virtualization design. Given that exciting presentation, I decided to use this challenge mainly as a playground to explore and push JEB’s limits (and if we happen to solve it on the road, that would be great!). The MarsAnalytica sample analyzed in these blogs is the one available on 0xTowel’s GitHub 2. Another version seems to be available on RingZer0 website, called “MarsReloaded”. A few interesting imports: getchar() to read user input, and putchar() and puts() to write. 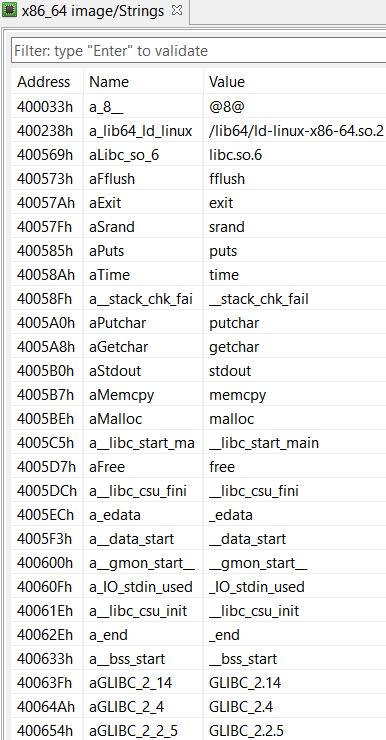 Also, some memory manipulation routines, malloc() and memcpy(). No particular strings stand out though, not even the greeting message we previously saw. This suggests we might be missing something. Two interesting notifications here: first the file was deemed “malformed/obfuscated”, due to its sections being stripped, and second the analysis style was initially set to CONSERVATIVE. This likely explains why most of the executable was not analyzed: the control-flow could not be safely followed and the unreferenced code does not start with common prologue patterns. 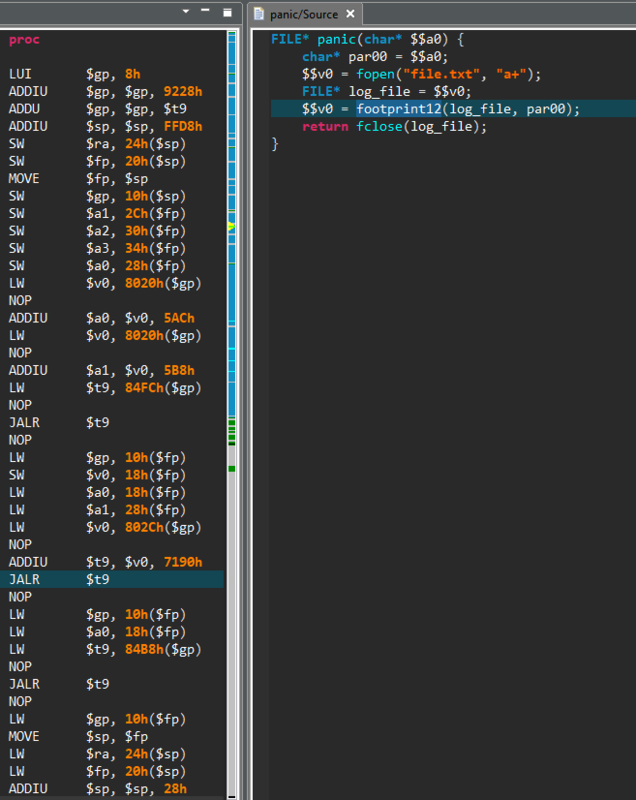 JEB usually employs AGGRESSIVE analysis on standard Linux executables, and disassembles (almost) anything within code areas (also known as “linear sweep disassembly”). In this case, JEB went CONSERVATIVE because the ELF file looks non-standard (sections are stripped). Ok… that’s where the fun begins! So, first a few memcpy() to copy large memory areas onto the stack, followed by series of “obfuscated” computations on these data. The main() routine eventually returns on an address computed in rax register. In the end, JEB’s disassembler was not able to get this value, hence it stopped analyzing there. 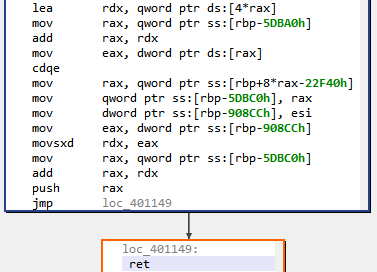 Let’s open the binary in JEB debugger, and retrieve the final rax value at runtime: 0x402335. We ask JEB to create a routine at this address (“Create Procedure”, P), and end up on very similar code. After manually following the control-flow, we end up on very large routines — around 8k bytes –, with complex control-flow, built on similar obfuscated patterns. 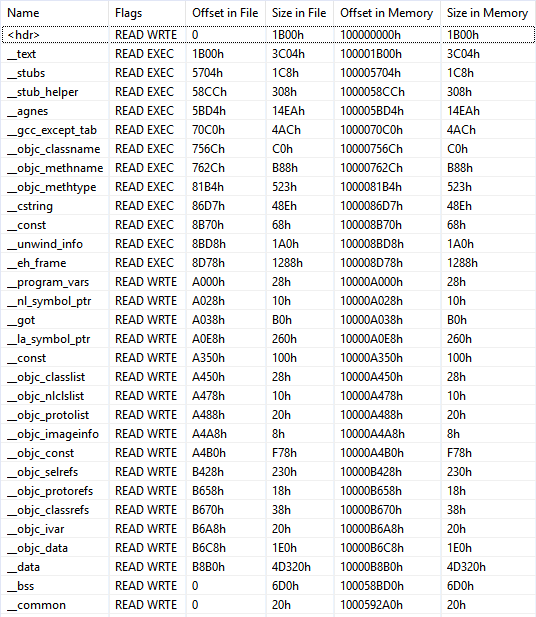 And yet at this point we have only seen a fraction of this 10MB executable… We might naively estimate that there is more than 1000 routines like these, if the whole binary is built this way (10MB/8KB = 1250)! It should be noted that most of the obfuscated routines re-use the same stack area (initialized in main() with the series of memcpy()). To automatically discover more routines, I configured JEB into disassembling “everything” within code areas, i.e. applying an AGGRESSIVE analysis rather than a CONSERVATIVE one 3. 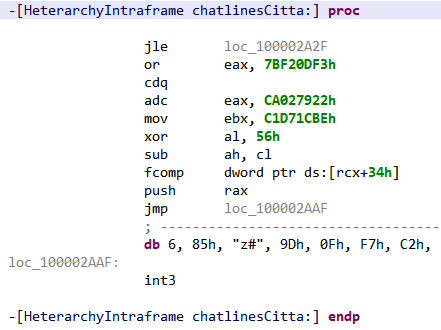 This did not end well, due to an anti-disassembly trick that interleave useless 0xE8 bytes within correct code. We could tweak the disassembly algorithm, but at this point we don’t know if there are others hidden “gifts” . Thus, it seems that the most robust option to correctly analyze the whole executable is to find a way to follow the control-flow. The code is (pretty) nice and short! Actually… too short, a lot of the original code is not present in the decompiled code. What happened? Many instructions write values into the stack, and those values will not be re-used later on in the same routine; therefore the instructions have been deemed “useless” and removed. But those written values will likely be used by the next routines, which share the same stack, as noted earlier. So we need to keep them if we want to have a chance to correctly analyze the code. A few lengthy expressions, but it remains pretty decent, given the complexity of the original assembly code: 60 lines of C, most of them simple assignments, to represent around 200 non-trivial assembly instructions. The executable is divided into (not so small) handler routines, each of them passing control to the next one by computing its address. For that purpose, each handler reads values from a large stack, make a series of non-trivial computations on them, then write back new values into the stack. After following manually a bunch of the handlers it seems the user input is only processed after a lot of them have been executed. 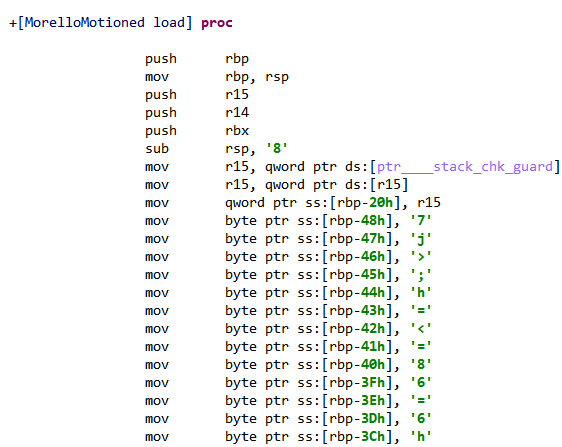 As originally mentioned by 0xTowel, the crackme author, it looks like a virtual-machine style obfuscation, where bytecodes are read from memory, and are interpreted to guide the execution. There does not seem to be any self-modifying code, meaning that all the code is statically visible, we “just” have to compute the control-flow to find it. JEB decompiled C code looks (pretty) simple, most C statements are simple assignments, except for some lengthy expression always based on the same operations; the decompilation pipeline simplified away parts of the complexity of the various assembly code patterns. There are very few subroutines called (more on that in the next blogs), and also few system APIs, so most of the logic is contained within the chain of obfuscated handlers, connected through jmp rax or push rax/ret instructions. Our first goal would be to find where the user input starts to be processed (typically a call to getchar()), and what is the exact memory state at this point (as we are likely going to need it to solve this madness). Given all that, we could pass through all the “deterministic” part of the execution (i.e. until the user’s input is processed) by implementing a C emulator. The program will then produce an execution trace, and provide us access to the exact program’s state. Hence, we should find at some point where the user’s input is processed (typically, a call to getchar()). The main advantage of this approach is that we are going to work on C code, rather than assembly code. This will become handy later to analyze how the user’s input is processed. The emulator would be architecture-independent — several native architectures are decompiled to C by JEB –, allowing us to re-use it in situations where we cannot easily execute the target (e.g. MIPS/ARM). It will be an interesting use-case for JEB public API to manipulate C code. Users could then extend the emulator to suit their needs. This approach can only work if the decompilation is correct, i.e. if the C code remains faithful to the original native code. In other words, it allows to “test” the decompilation pipeline’s correctness, which is — as a JEB’s developer — interesting! Nevertheless, a major drawback of emulating C code on this particular executable, is that we need the C code in the first place! Decompiling 10MB of obfuscated code is going to take a while; therefore this “plan” is certainly not the best one for time-limited Capture-The-Flag competitions. How to implement a C emulator with JEB API? Is MarsAnalytica decompiled code correct? Is it really such a bad good plan to use an emulator? Will I perish under performance problems? Answers to those questions (and more) in part 2! In this blog post, we present a new batch of native signatures released with JEB3 to identify Android Native Development Kit (NDK) libraries. First, let’s briefly give some context. The Android NDK is a set of tools allowing developers to embed compiled C/C++ code into their Android applications. Thus, developers can integrate existing native code libraries, develop performance-sensitive code in C/C++ or obfuscate algorithms with native code protectors. In practice, native code within Android applications comes in the form of ELF shared libraries (“.so”); the native methods can then be called from Java using Java Native Interface (JNI), which we described in a previous blog post. Android NDK provides some pre-built libraries that can be linked against. For example, there are several C++ Standard Template Library (STL) 1 , or the Zlib decompression library. As an example, let’s compile a “hello world” Android NDK C++ library with NDK r17. By default, the C++ implementation will be gnustl — the default choice before NDK r18. 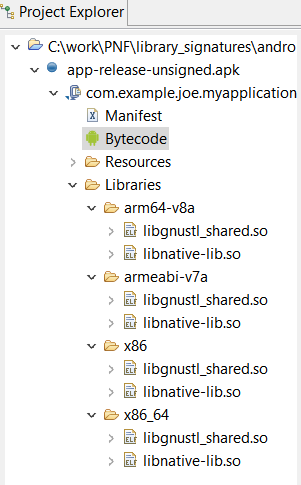 When compiled with Android Studio’s default settings, libraries are linked dynamically, and libgnustl_shared.so is directly included in the application — because it is not a system library –, for each supported Application Binary Interface (ABI). Control-flow graph of ARM “hello world” with gnustl dynamically linked. 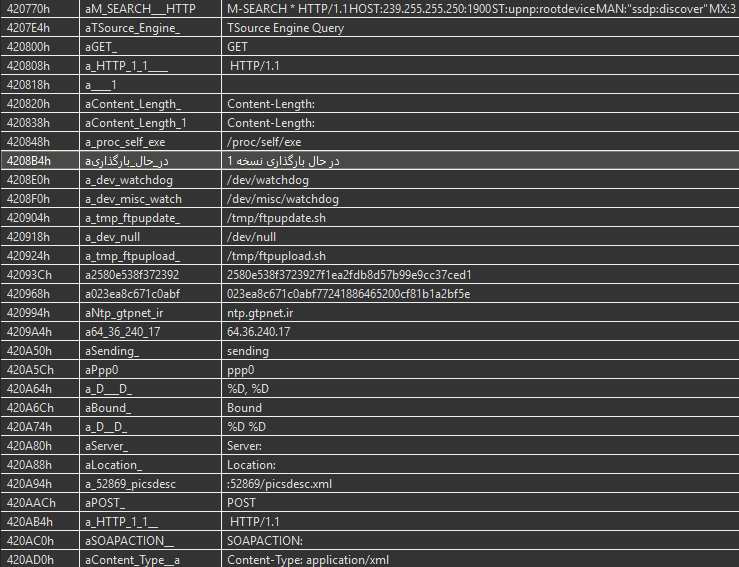 Note that JEB displays mangled names when API calls correspond to external routines. Now, Android NDK also provides static versions for most of the pre-built libraries. A developer — especially a malware developer wishing to hinder analysis — might prefer to use those. Control-flow graph of ARM “hello world” with gnustl statically linked. Subroutines bear no specific names. In this case, the analysis will be slowed down by the numerous routine calls with no specific names; each of this subroutine will need to be looked at to understand the whole purpose. This brings us to a common reverse-engineering problem: is there a way to automatically identify and rename static library code, such that the analyst can focus on the application code? We provide signatures for ARM/ARM64 ABIs (including all variants like arm-v7a, arm-v7a-hard, thumb or ARM mode, etc) of these libraries, from NDK r10 to NDK r18. 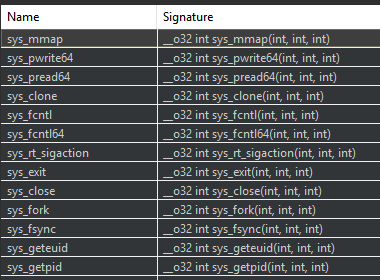 These signatures are built in a similar fashion to our x86/x64 Visual Studio native signatures, and are intended to be “false-positive free”, which means a match should be blindly trustable. Note that JEB users can create their own signatures directly from the UI. Control-flow graph of ARM “hello world” with gnustl statically linked and NDK signatures loaded. Subroutines have been renamed. Note: the attentive reader might have noticed some “unk_lib_subX” routines in the previous image. Those names correspond to cases where several library routines match the routine. The user can then see the conflicting names in the target routine and use the most suitable one. Due to the continuous evolution of compilers and libraries, it is not an easy task to provide up-to-date and useful signatures, but we hope this first NDK release will help our users. Nevertheless, more libraries should certainly be signed in the future, and we encourage users to comment on that (email, Twitter, Slack). Last week was the release of JEB 2.3.7 with a brand new parser for Mach-O, the executable file format of Apple’s macOS and iOS operating systems. This file format, like its cousins PE and ELF, contains a lot of technical peculiarities and implementing a reliable parser is not a trivial task. During the journey leading to this first Mach-O release, we encountered some interesting executables. 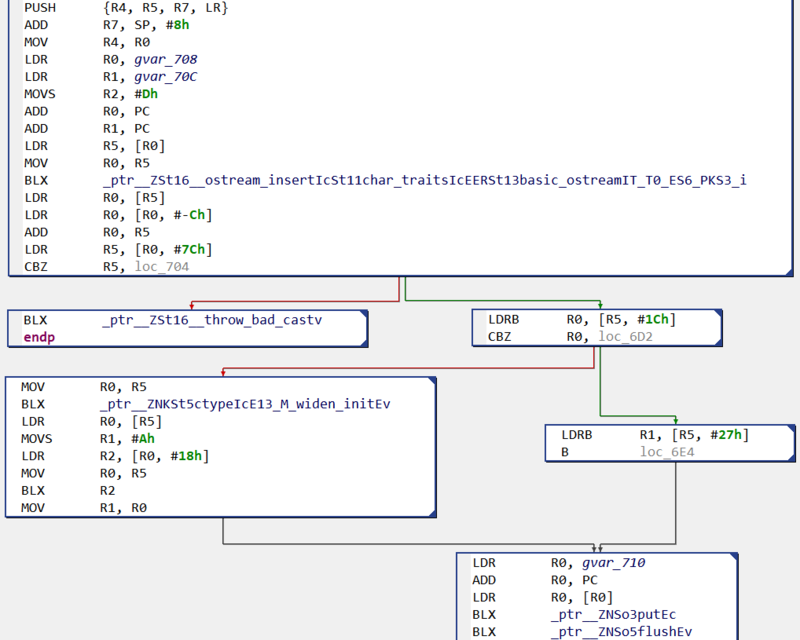 This short blog post is about one of them, which uses some Mach-O features to make reverse-engineering harder. The executable in question belongs to a well-known adware family dubbed InstallCore, which is usually bundled with others applications to display ads to the users. Interestingly, there are some sections related to the Objective-C language (“__objc_…”). Roughly summarized, Objective-C was the main programming language for OS X and iOS applications prior the introduction of Swift. It adds some object-oriented features around C, and it can be difficult to analyze at first, in particular because of its way to call methods by “sending messages”. Nevertheless, the good news is that Objective-C binaries usually come with a lot of meta-data describing methods and classes, which are used by Objective-C runtime to implement the message passing. These metadata are stored in the “__objc_…” sections previously mentioned, and the JEB Mach-O parser process them to find and properly name Objective-C methods. Wait a minute… there is no routine here and it is not even correct x86-64 machine code! Moreover, there are no cross-references on any of these routines! Why would JEB disassembler engine – which follows a recursive algorithm combined with heuristics – even think there are routines here?! First, let’s deal with the numerous unreferenced routines containing no correct machine code. After some digging, we found that they are declared in the LC_FUNCTION_STARTS Mach-O command – “command” being Mach-O word for an entry in the file header. This command provides a table containing function entry-points in the executable. It allows for example debuggers to know function boundaries without symbols. At first, this may seem like a blessing for program analysis tools, because distinguishing code from data in a stripped executable is usually a hard problem, to say the least. And hence JEB, like other analysis tools, uses this command to enrich its analysis. But this gift from Mach-O comes with a drawback: nothing prevents miscreants to declare function entry points where there are none, and analysis tools will end up analyzing random data as code. Where Is the Entry Point? The entry point value used by JEB comes from the LC_UNIXTHREAD command contained in the Mach-O header, which specifies a CPU state to load at startup. How could this program be even executable if the declared entry point is not correct machine code (see Figure 2)? Surely, there has to be another entry point, which is executed first. There is one indeed, and it has to do with the way the Objective-C runtime initializes the classes. An Objective-C class can implement a method named “+load” — the + means this is a class method, rather than an instance method –, which will be called during the executable initialization, that is before the program main() function will be executed. That’s it for today, stay tuned for more technical sweetness on JEB blog! One of the major threat on embedded devices — the so-called “Internet of things” –, is the infamous Mirai malicious software, whose source code was made public in September 2016. This malware has the ability to infect devices by brute-forcing Telnet credentials, and is primarily used to launch distributed denial-of-service attacks. Since the source code release, numerous Mirai variants have been deployed in the wild by miscreants, like the one we documented in a recent post. In this blog we will first take a quick look at another Mirai-based malware, quite original in its own way, to then introduce our novel signature system that can identify Mirai original code in executables. On May 18th, ESET’s Michal Malík mentioned on Twitter a Mirai-based sample for MIPS that grabbed our attention. Michal pointed out new functionalities like a custom update mechanism, and some strange debug routines, so we decided to take a look with our brand new MIPS decompiler. It should be noted that this sample comes with the debug symbols, which explains the names present in the decompiler output. 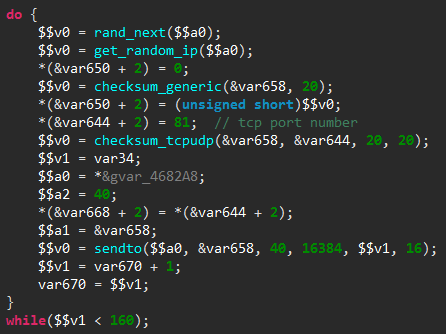 The malware logic starts in its main() routine, which is shown below as decompiled by JEB. Briefly summarized, this routine first sets up a few signal handlers, in particular to create a core file in case of segmentation fault. It then calls a homemade panic() function — not to be confused with the standard Linux panic() routine. The panic() function code is shown below, as seen in JEB. While the routine native code — seen on the left side — can be pretty dry to read, the decompiled code on the right side is fairly straightforward: a file named file.txt is opened and a given error message is written to it, accompanied by a custom system footprint built by the footprint12() routine. 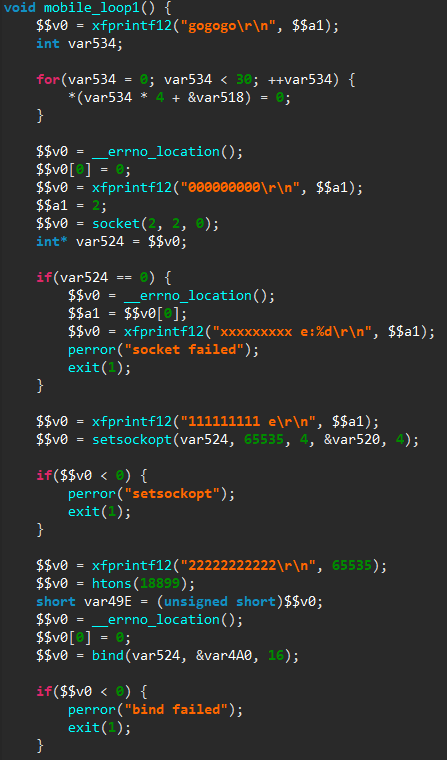 Finally, main() calls the kill_run_mobile1() function, which first kills any application listening on TCP port 18899 (likely others instances of the same malware), and then creates a thread on the mobile_loop1() function, which is shown below. The new thread will listen for incoming connections and process them through a custom command handler. 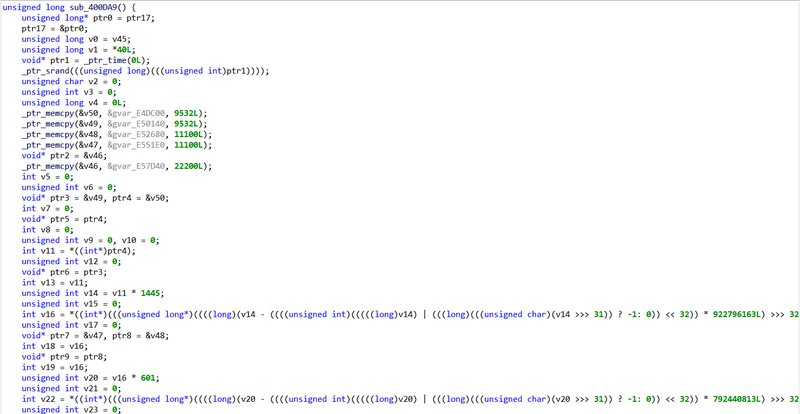 As can be seen from the numerous debug messages in the decompiled code, the code is still in a development stage. To summarize, this sample appears to be an attempt to repackage Mirai source code with a different update mechanism, and is still in development, as can be seen from the presence of debug routines, and the fact that plenty of code remains unused. While the technical quality of this sample is dubious, it illustrates one of the major consequence of Mirai source code public release: it has lowered the bar of entry for malicious software developers. In particular, we can expect the strain of Mirai-based malicious software to continue to grow in the following months. In a context where numerous Mirai-based malware are deployed in the wild, having the ability to identify original Mirai code becomes particularly useful, as it allows the analyst to focus only on the new functionalities in each sample. Of course, most of Mirai-based samples do not come with symbols, and hence we need a proper mechanism to identify Mirai original code. That is the purpose of the native signature system released with JEB 2.3, which can actually identify code for all native architectures supported by JEB (x86, ARM, MIPS and the associated variants). The objective of this signature system is to identify native routines with a minimal number of false positives. In others words, we want to fully trust a successful identification, while we may miss some known routines. A custom hash computed on the binary code of the unknown routine. During this computation, we remove from the native instructions the addresses and offsets that may vary depending on where the routine is located in a binary. Hence the same routine located at a different place will have the same hash. 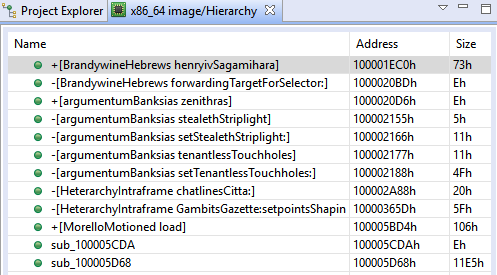 Interestingly, as our algorithm uses the generic JEB interface on native instructions (IInstruction), the hash computation is done on all architectures in the same way. The names of the routines called by the unknown routine, e.g. API routines, system calls, or already identified routines. This feature allows to distinguish wrappers that have exactly the same binary code but call a different routine. Signatures are generated from a reference file. This file can be a native file with symbols, or a JEB database with some routines renamed by the user. For each named routine, a signature containing the routine features and information is created. Signatures are then grouped into packages for each platform. When JEB analyzes an unknown routine, it tries to match it with the signatures. If there is a match, the information of the original routine are imported, e.g. the matched unknown routine is renamed as the original routine. Due to its strict reliance on the binary code, this identification process does not offer a resistance to minor changes, like the ones introduced by compilation with a different compiler version or with different optimizations. We intend to develop others signature systems in JEB, which will be more resistant to such variations, in particular by using JEB intermediate representation. Still, it is particularly suitable in the case of Mirai, where the public source code comes with compilation instructions, such that many samples are compiled in the same way and share the exact same binary code. Therefore, JEB 2.3 comes with a set of signatures created from a non-stripped executable created from Mirai public source code. These signatures are automatically applied when a MIPS binary is loaded in JEB. For example, here is an extract of the initial routines list after loading in JEB a stripped Mirai sample deployed last year (SHA1: 03ecd3b49aa19589599c64e4e7a51206a592b4ef). On the 204 routines contained in the sample, 120 are automatically identified and renamed by JEB, allowing the user to focus on the unknown routines. It should be noticed that not all recognized routines belong to Mirai specific code, some of them belong to the C library used by Mirai (uClibc). The JEB native signature system is still in development, but its results are encouraging and we provide a set of signatures for Mirai on MIPS platform, and for the standard C library shipped with Microsoft Visual Studio 2013 on the x86 platform. We encourage users to try it through our demo version, and report any comments to support@pnfsoftware.com. In the following weeks, not only will the number of signatures rapidly grow — through a specific update mechanism –, but we also intend to let users generate their own signatures with JEB public API. The malicious software analysis presented in this post was done by our intern Hugo Genesse.